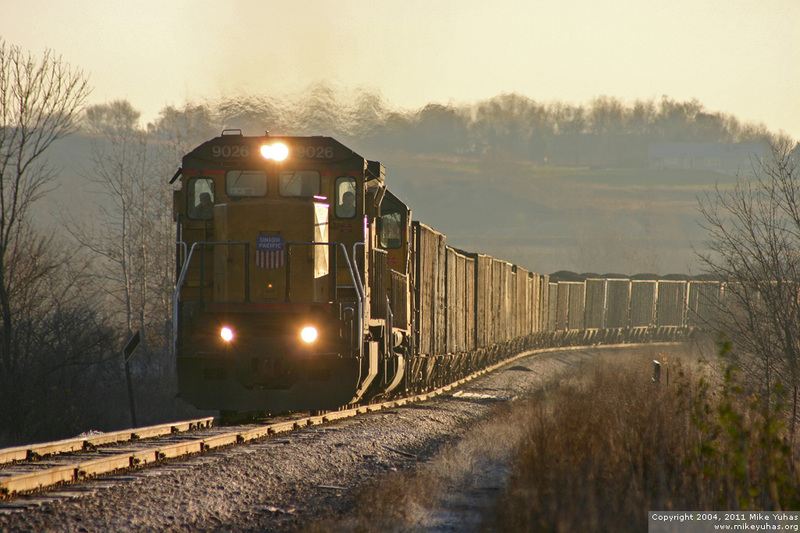 With 37 loaded coal hoppers on the head end, here's Union Pacific's train MPRIT heading west along the Adams Subdivision near Merton, Wisconsin. In addition to the coal, there were 50 additional cars, primarily covered hoppers, boxcars, and some empty flatcars in today's train. It was a crisp morning to shoot trains -- the bright sun had just begun to melt the frost!